The Nationwide Insurance: Qjjjj56 in Laguna Niguel, CA provides the following products. To learn more about each insurance product, click on the links below. Qjjjj56 has been helping Laguna Niguel drivers find better auto insurance coverage since they first opened their doors. Let our agents make sure your policy includes covered damages and claim limits that make sense for the financial protection of your household. Local motorists who come to Qjjjj56 will also know that we've searched for and applied each qualifying policy discount. Some of the possibilities include good student, anti-theft and multi-policy discounts. No amount of defensive driving can prevent every accident, but it is possible to get coverage for a huge range of potential damages. From a list of qualified car repair shops in the Laguna Niguel area to Nationwide's AutoWatch® program, the On Your Side® Claims Service is ready should you ever need it. In the meantime, consider rewarding yourself for each year of claims-free driving with the Vanishing Deductible program. Qjjjj56 can answer questions about coverage limits, policy options or billing schedules. Our expertise and Laguna Niguel auto insurance options also include customized solutions for individual households and specialty vehicles. Call us at (949) 245-2866. Choose coverage and buy a policy over the phone, or schedule an appointment with our local office. Qjjjj56 is located at 30101 Towne Center Drive. 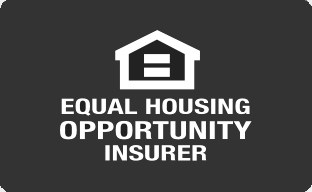 Navigating the variety of options for your home insurance needs is simple with Alfonso Aduna of Qjjjj56. Alfonso Aduna has teamed up with Nationwide to bring you expert insurance advice. Together, you'll go over coverage options for both your home and belongings that are valuable to you. Specifically, with our Brand New Belongings® coverage, we can help to replace or repair your covered valuables. Because Qjjjj56 is local to Laguna Niguel, you can create an insurance policy with the unique qualities of your location in mind. When it comes to your home, a good roof over your head can relieve a lot of worry. Other unique aspects of your home, such as a pool, gazebo, or other detached structures, are also important to finding you the right insurance coverage. In Laguna Niguel, we know there are also specific social and weather conditions that should influence your coverage, so we'll be sure to discuss them with you when you drop by. To get in touch and learn more about home insurance policies, you can come to our office at 30101 Towne Center Drive 75080 or call us at (949) 245-2866. We'll not only go over what kind of coverage is available to you, but how to qualify for special discounts and bundle packages. We look forward to meeting you and walking you through your options. At Qjjjj56, we understand the need to provide your loved ones with a financial safety net. Whether you already have a policy and are looking to adjust your coverage or this is your first-time shopping for life insurance, we can handle your insurance needs. We work with Nationwide to provide friendly service and diverse coverage options to customers in Laguna Niguel. We recommend speaking to a life insurance agent for assistance in getting the right coverage for your unique situation. There are several types of life insurance for you to consider, such as term, whole, universal and more. Choosing the right coverage may seem overwhelming. 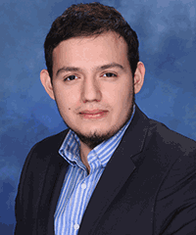 Fortunately, Alfonso Aduna and our other team members can go over options to help you find a solution that provides the amount of coverage that meets your needs and can help you achieve your long-term financial goals. If you are ready to learn coverage options, contact one of our agents at (949) 245-2866 to discuss them over the phone. You can also make an appointment or visit our office at 30101 Towne Center Drive,Laguna Niguel,CA,92677 to meet in person. Our agent will be more than happy to evaluate your circumstances to help you get the right solution. We all strive to be at our very best at every possible moment to fulfill our own individual obligations and meet the needs of those around us. Yet there will be times when factors outside of our control present risks. Perhaps in no other facet of life is this more true than in business. As a small business owner, your effort in building your company needs to be protected by a sound insurance plan. We at Qjjjj56 would be happy to provide you with that. Thanks to our association with Nationwide, all of the core coverage elements needed to build the right business insurance policy in Laguna Niguel are right at your fingertips. You can start with basic options such as commercial property and business liability insurance, and then supplement that with business auto coverage. Then, depending upon the unique aspects of your company, you can choose to add extra coverage such as crime insurance, cyber liability protection, workers' compensation, and added financial security through accounts receivable and business interruption insurance. Not sure how much insurance you'll need? Choose instead to go with a businessowners policy, which offers a wide range of coverages designed to provide a convenient package. Building the ideal small business insurance plan can be easy if you have the right help in doing it. Alfonso Aduna is here to help. We look forward to discussing all of the business insurance benefits that Nationwide has to offer. To learn more about covering your company through Nationwide, stop by and speak to us at our office on 30101 Towne Center Drive, or call and schedule an appointment at (949) 245-2866.